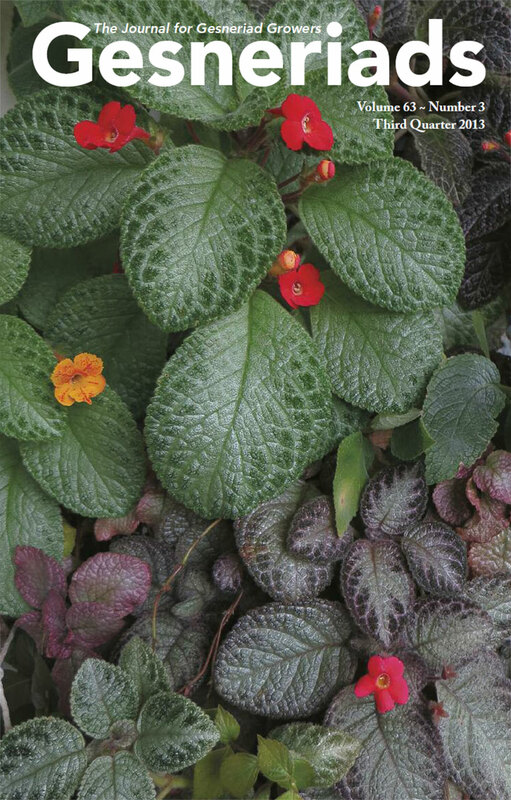 The gesneriad family contains over 3,400 species of plants. Perhaps the best-known member of the gesneriad family is the African violet (Saintpaulia). Welcome to The Gesneriad Society and our website. I hope that you will enjoy your visit! The site is always being improved so, if you find a link that doesn’t work, or a page that doesn’t load, let me know. If you need help with your membership area logon, contact Web Support. The Gesneriad Society is an all-volunteer international society devoted to the identification, culture, propagation, and conservation of gesneriads. The Society also encourages the origination, introduction, and conservation of species and cultivars. The Gesneriad Family (pronounced either “guess-NARE-ee-ad” or “jez-NARE-ee-ad”) contains over 3,400 species of plants and countless hybrids. The best-known member of the family is the African violet (Saintpaulia). Members are urged to check the Members Area (login required) where there are high-resolution PDF copies of our journal, access to the seed fund, Flower Show and Convention manuals, and more. Your user ID is your member number found above your name on the journal mailing label, and your password is one you have chosen after your initial login. If you have feedback or suggestions about our site, please contact our Webmaster. If you have feedback or suggestions for the Society, please contact me.